Belarusian TaxiStartup, a cloud-based SaaS for taxi services which we’ve profiled previously, launches two new taxi services based on its platform. One of them is an independent drivers’ network saytaxi in Brazil and another one is a personal chauffeur service chauffy.com. The services are gearing for the launch, and have just been announced at the TNW Latin America event in Brazil. When we last wrote about them, the service had only just officially launched, so they had not yet gained any real traction. Nearly 7 months on, their business has begun to take off and I spoke with founder Eugene Suslo to find out about that traction, their funding, plans, and more. As we mentioned in our previous post, TaxiStartup is a cloud-based dispatch service which offers apps for drivers, dispatchers, and customers. The app is currently only available on Android, but is reportedly coming soon to iOS, Windows Phone, and BlackBerry. The company has already begun to establish a bit of a global footprint with more than 150 customers testing the product from countries like Belarus, Canada, Malaysia, Indonesia, Peru, and India. Currently self-funded, the team behind TaxiStartup is ramping up its sales and marketing activities and is working to build its brand by developing a network of partners and hiring a distributed sales team for Latin America, Africa, the Middle East, and North America. 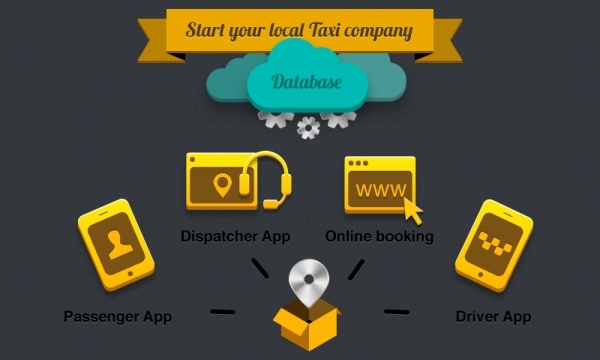 TaxiStartup considers traditional taxi-dispatcher services, Hailo, Uber, Gettaxi, TaxiCaller, TaxiBookr, UbiCabs, and tdispatch, to name a few, to be their primary business rivals.